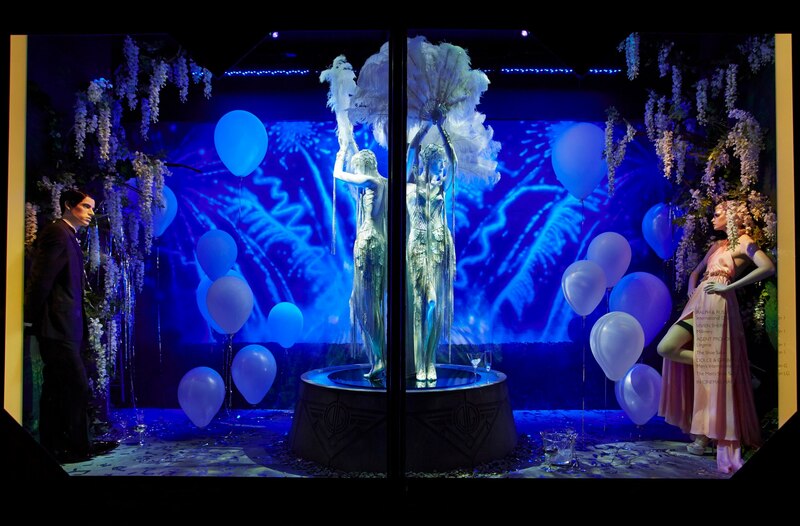 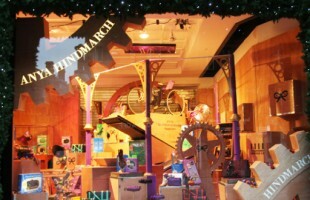 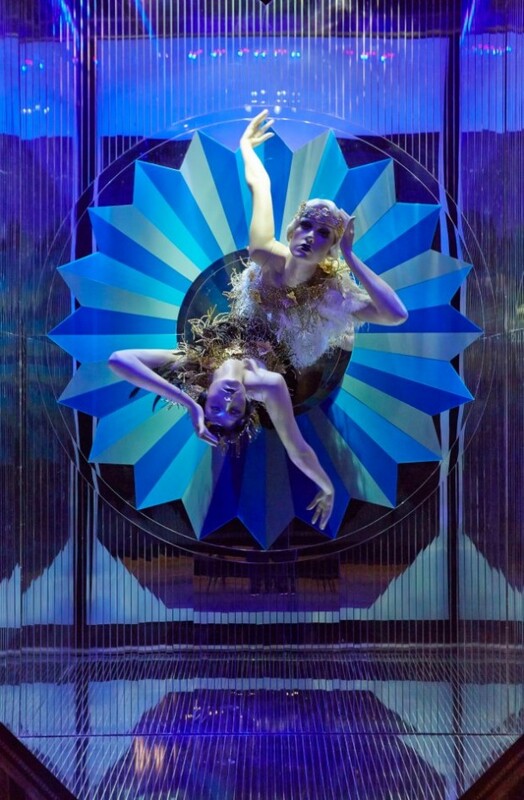 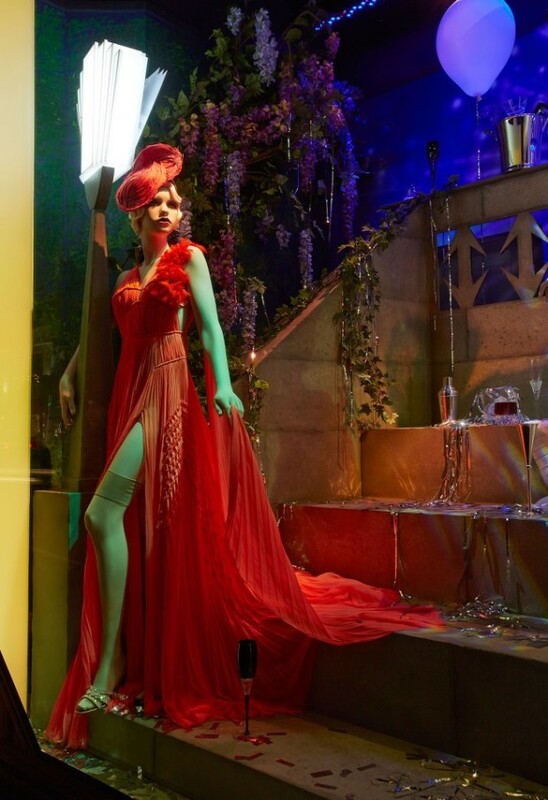 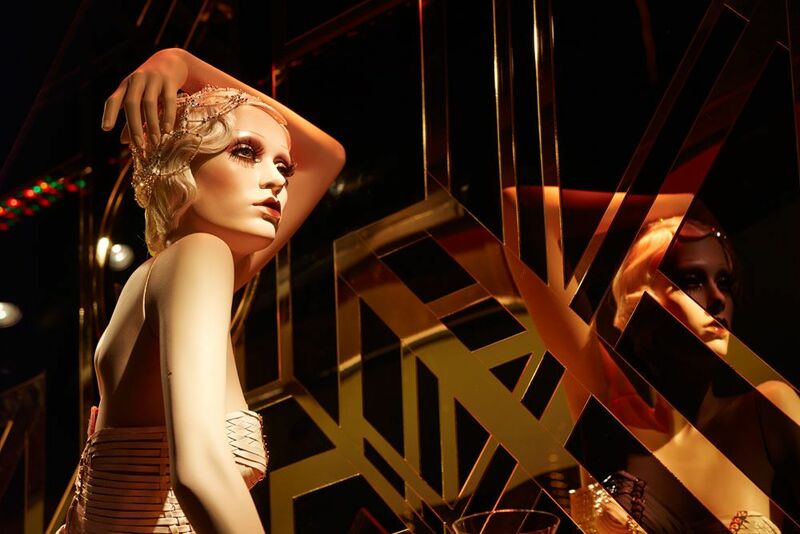 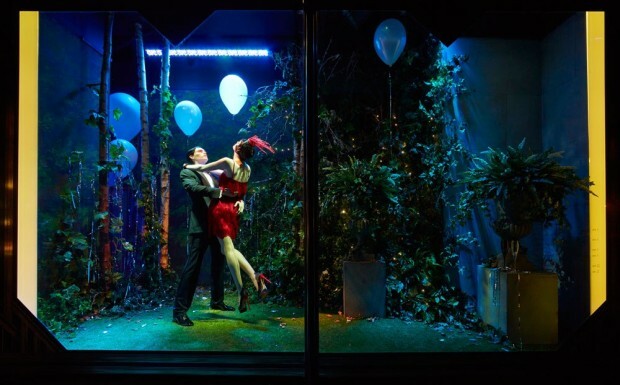 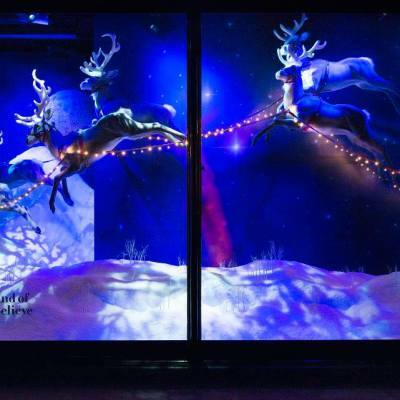 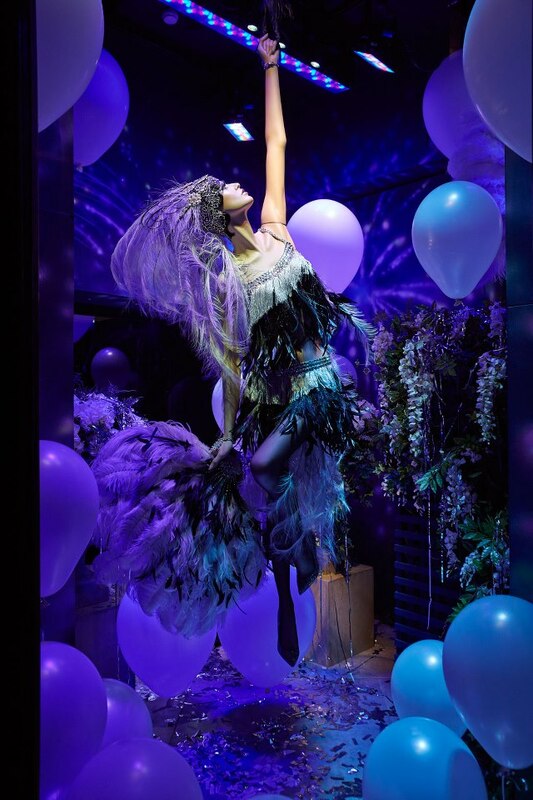 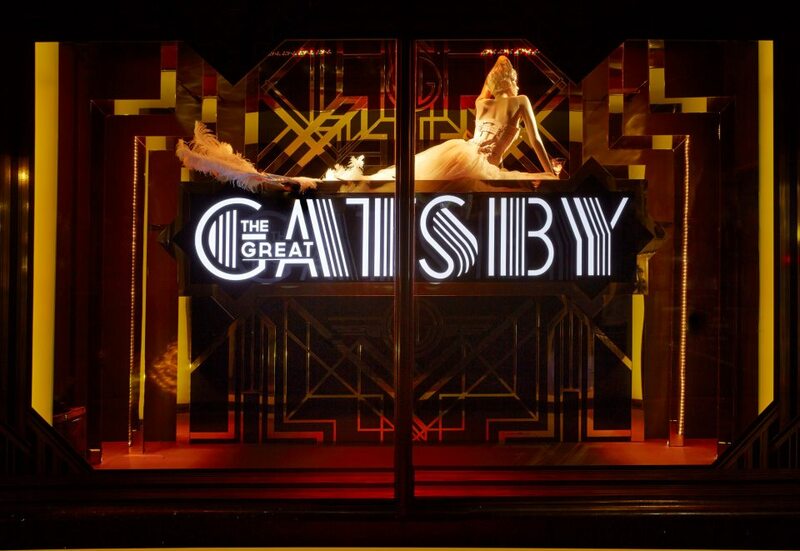 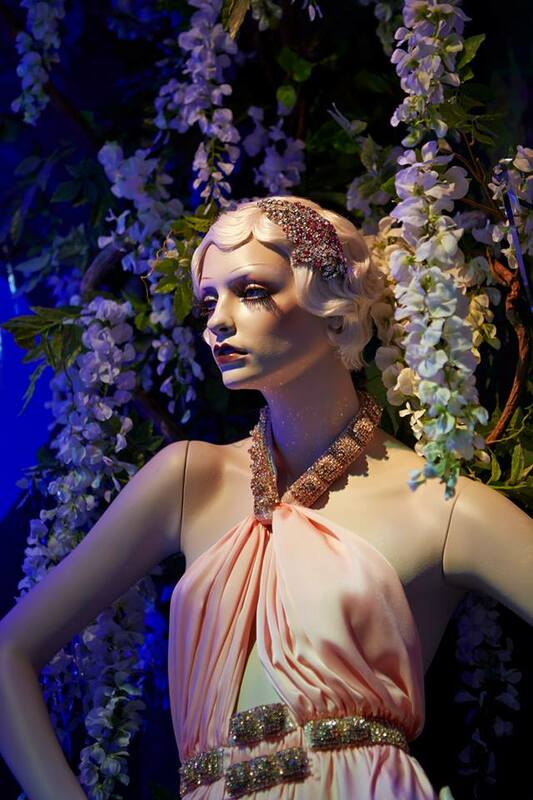 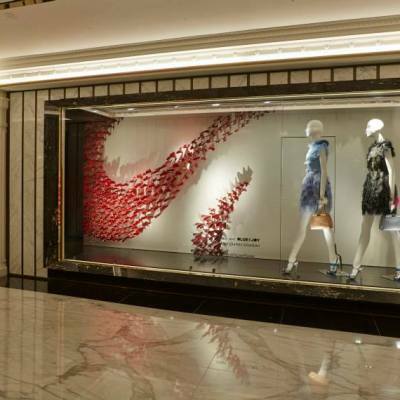 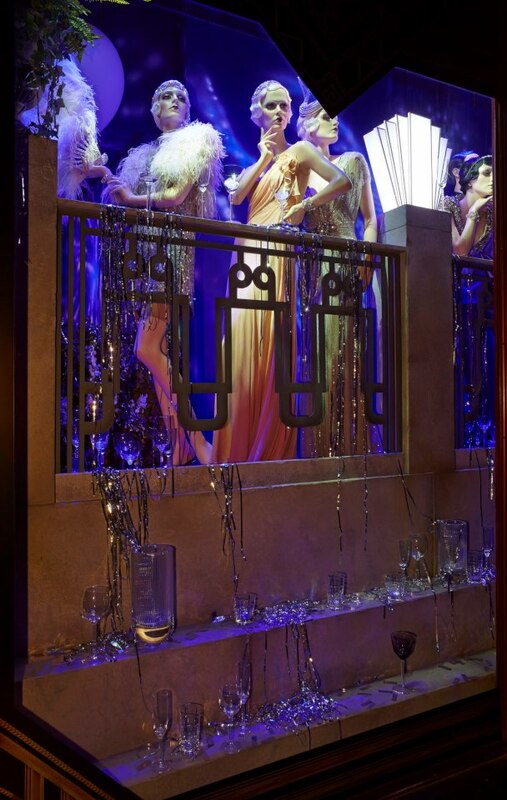 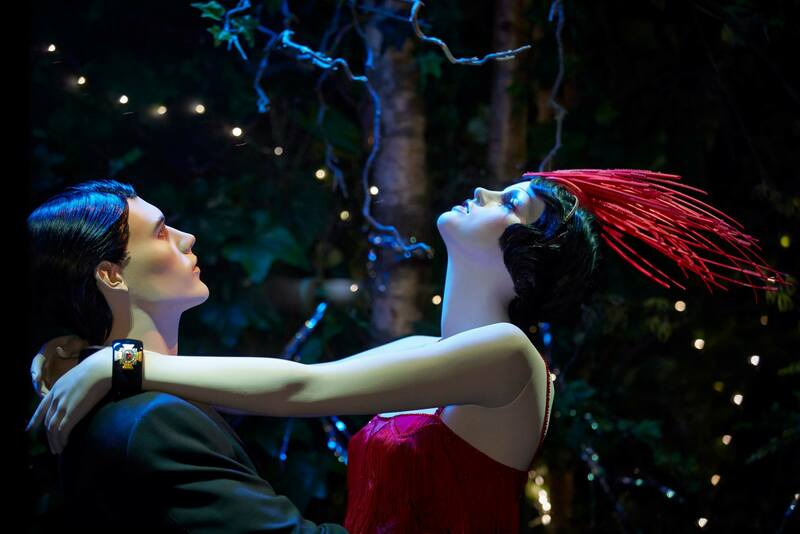 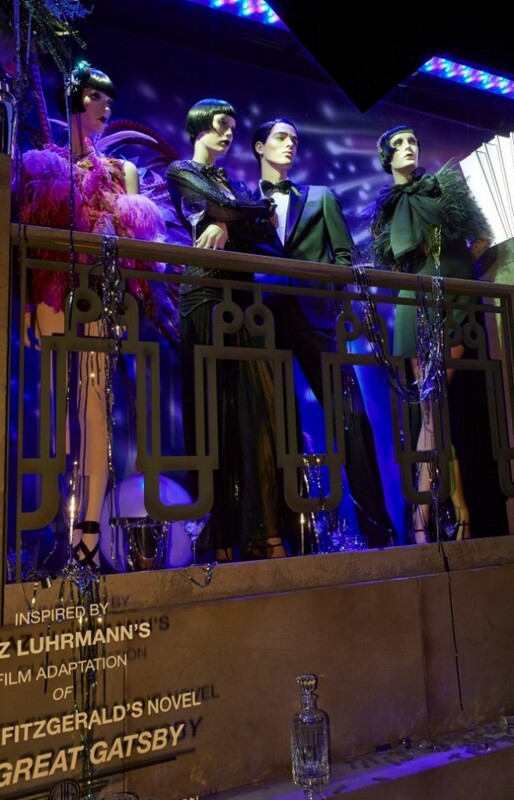 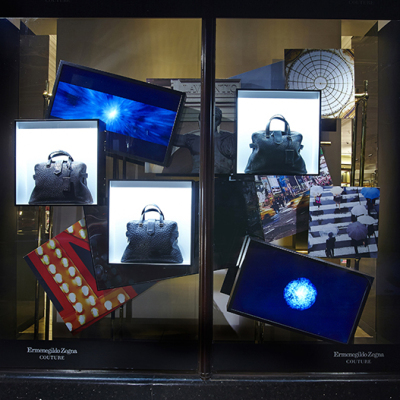 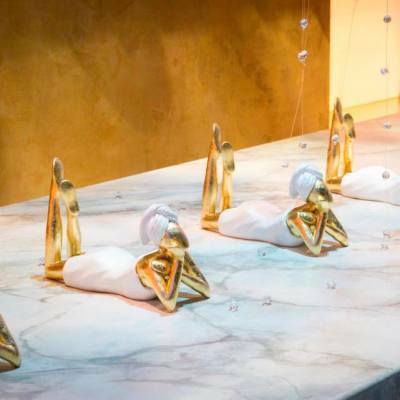 Next to Tiffany & Co. also Harrods created a window display that is tribute to the movie “The Great Gatsby”. 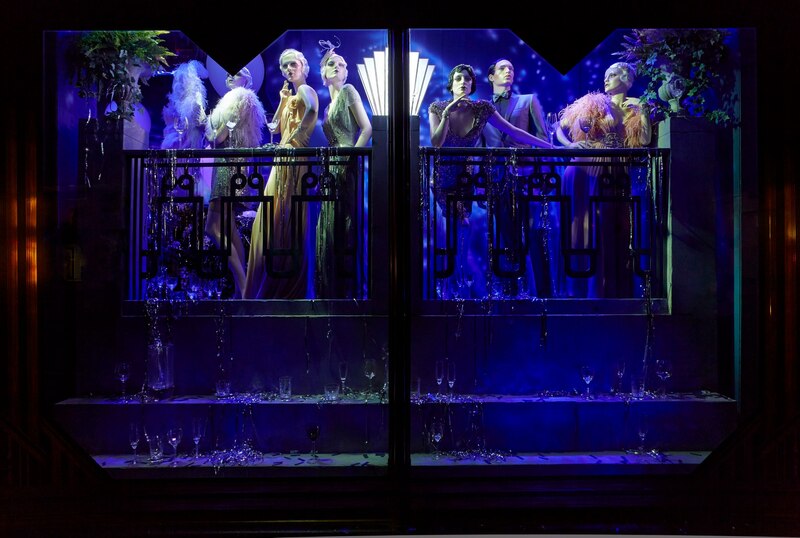 Where the entertainment and glamorous live of the Roaring Twenties is coming forward. 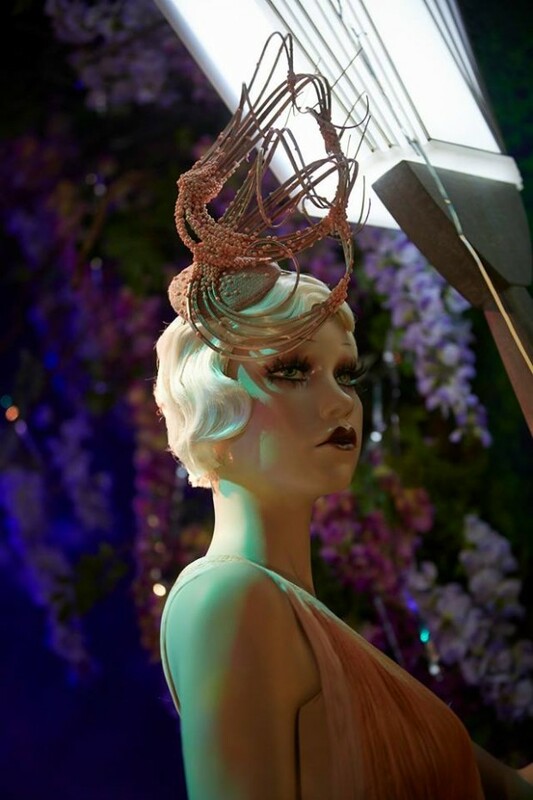 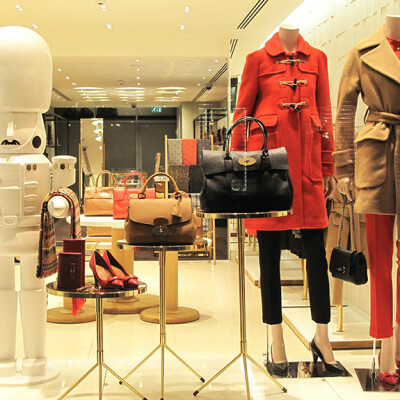 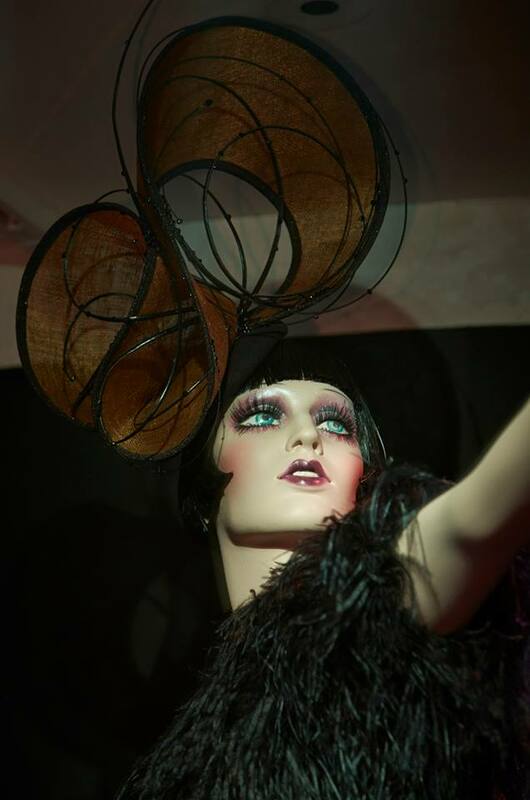 The mannequins are wearing flapper and long evening dresses with short hair and delicate headpieces. 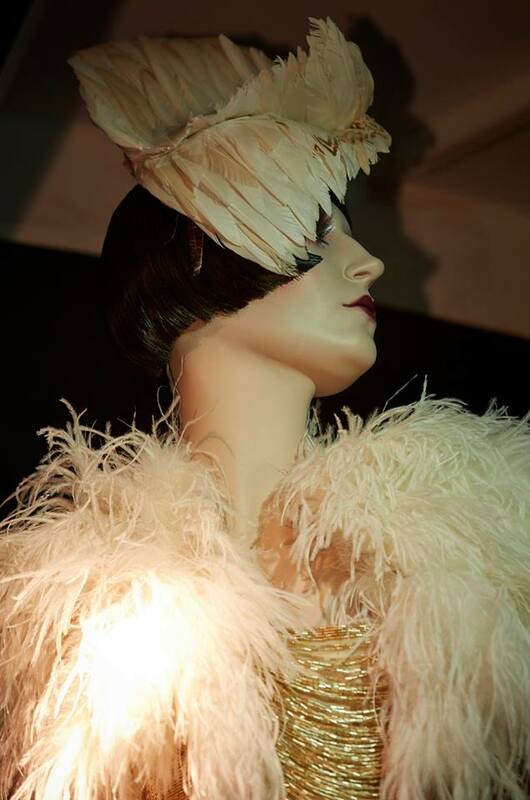 The women’s headwear is created by the milliner Vivien Sheriff. 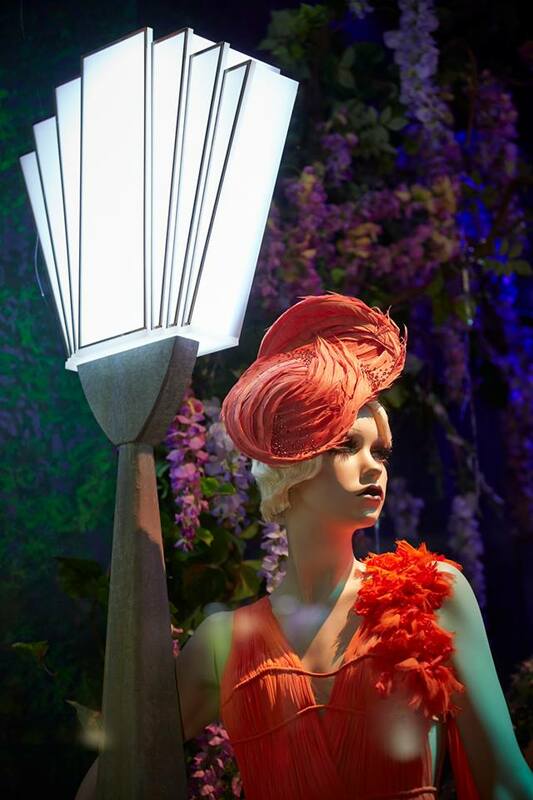 With the use of feathers, beads and vibrant colors she takes passers-by back to 1920’s. 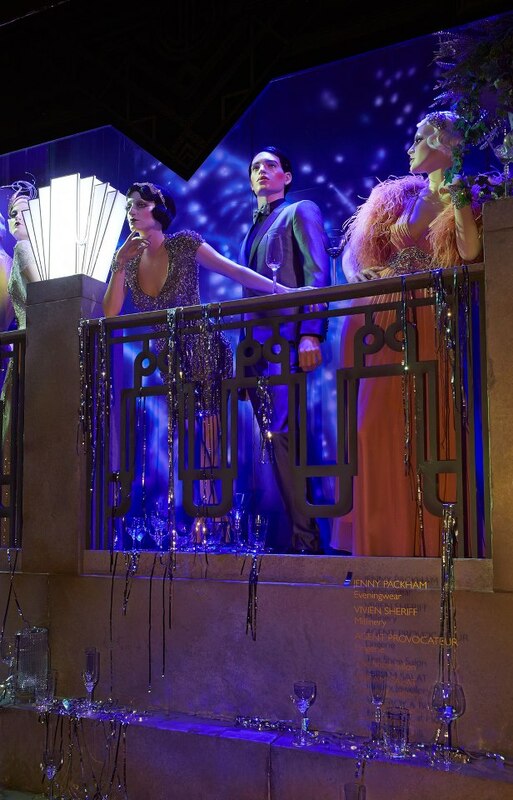 A Little Party Never Kill Nobody.